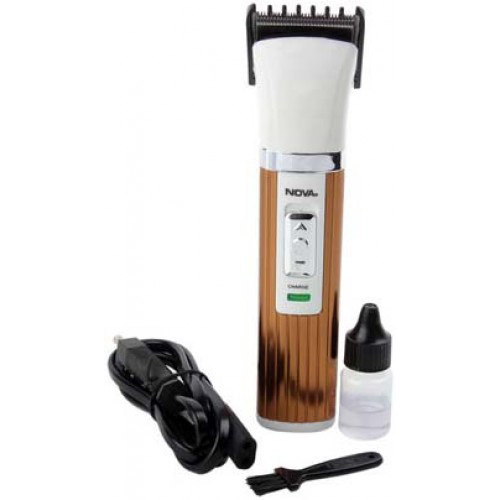 The Nova Trimmer White & Silver NHT-1016 is the perfect trimmer for you. It comes with stainless steel blade that trims your beard to precision. The trimmer can be used wirelessly which makes it very convenient to operate. The hair trimmer is rechargeable which means it is economical to use. To Recieve updates and possible rewards for Nova NHT 1016 - White & Brown please sign in. To Recieve updates and possible rewards for Trimmer, Clipper & Shaver please sign in.